A common setback for avant-garde pushers can be responding to, “Where do we go from here?” The trio of Arrington de Dionyso, Noel Meek, and Rodrigo Rico, bent on jazz’s noisy, free form side don’t respond directly. Instead, they take this boundary marker on a quest for spontaneous exploration. Recorded at Seattle’s Gallery 1412 in October of 2017 and co-released on cassette by Astral Spirits and God in the Music last December, From the Land of the Wicked King spans two improvised cuts shirking melody, rhythm, and mood. “Part One” addresses a sultry, West Coast nod in a most sinister way. 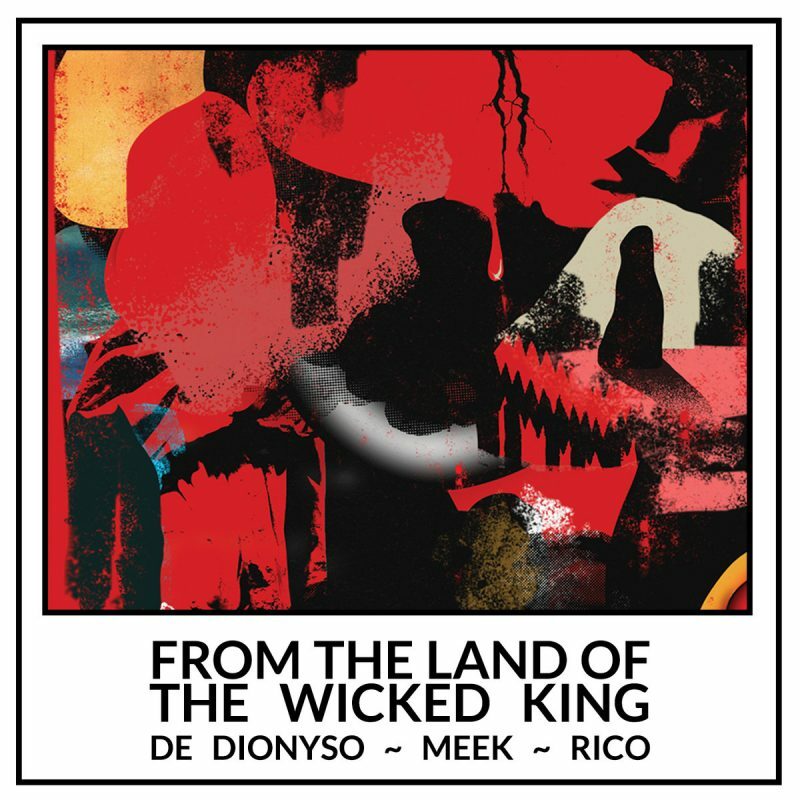 Rico’s agreeable taps and sensible rhythms partnered by Meek’s revving electronics give path to de Dionyso’s propulsive blows and dissonant phrasing. Later, as Meek’s electronic power flubbing invokes throbbing bass lines, Rico and de Dionyso play along like a lit candle in a TNT shop. The dripping of wax lands everywhere and as the rollicking beats and grooves spill out near the eight and half mark, the trio flirts with an almost danceable, infectious ditty. While humoredly abstruse, “Part One” bubbles playful backdrops into zipping narratives. The nails on the chalkboard sax and power zaps caterwaul the opening of “Part Two”. De Dionyso’s workhouse send outs showcase the saxophone as a divinity rod; no one really believes a man-made device can question or reveal the will of God, but the way de Dionyso extracts and bends sounds, it’s as if his instrument is scrying the supernatural with every possible push of breath. By minute four, the trio is swirling through a thick gel of aberration, splashed by short and languid bursts of sax, overriding electronic whirl, and rolling sputters of percussive strikes. Each transition locks into place as Meek runs the steady undercurrent. His solo, beginning before the eighth minute, has shades of harmonizing scales before gracefully tail spinning into a laser tag battle featuring cannon blasts. When de Dionyso reenters, the hand off is synonymous and in step. Possibly overlooked is Rico’s intuitive rolls and tribal balance. His moving forward tack shines mischievous and sonorous on repeat immersions. By the 14th minute, with plenty of repetition and scattered rhythms, the trio begins to ooze over the edges. 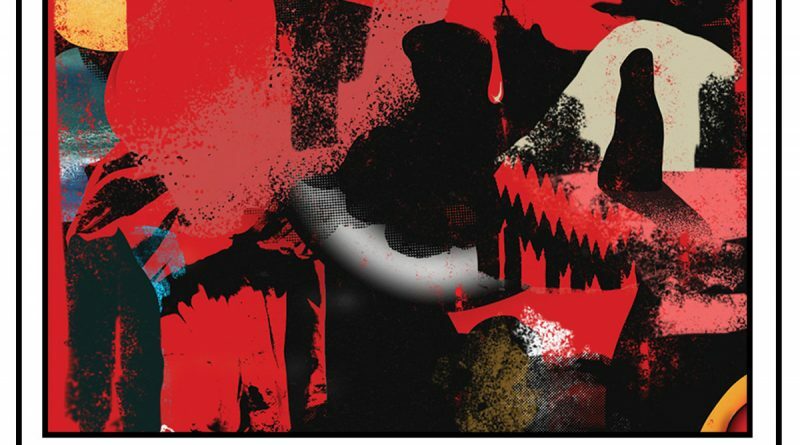 As the ending saw-like whirling races to the forefront, accelerating each to his end, From the Land of the Wicked King reveals a new kind of free jazz and experimentation. De Dionyso, Meek, and Rico frustrate, defy, pursue, and expel their divination secrets everywhere. Where they go from here, well…that’s for us to decode.